The WHO reports that in 2015, cancer was the second highest cause of death globally – responsible for 8.8 million fatalities, yet we are at a point in time where the speed of advancement in understanding and potentially treating or even preventing the disease has never been greater. There are currently over 600 molecules in late stage development and from 2011 to 2016 a total of 68 novel therapies were launched. What is becoming clear though is that there is unlikely to be a one-size fits all approach, it is very much about understanding a specific patient, an individual tumour and having the ability to tailor and target a therapy to match. 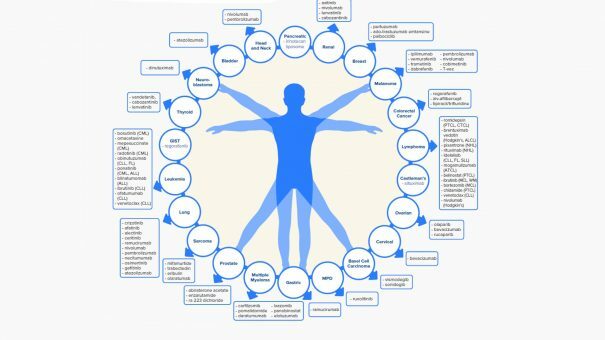 This has brought about unique challenges for the industry, complexities for physicians and payers in defining and understanding treatment algorithms, a reimagining of the clinical trial pathway for pharma when working with personalised solutions and tiny patient populations and tellingly a redefinition of cancer itself. Moving from broad terms such as melanoma, CRC and lung to a far more granular, segmented vision, with each type having its own treatments and potential outcomes, influenced by an array of factors including histology and biomarker status. IQVIA (formerly QuintilesIMS) presents an analysis of this oncology landscape and combines these insights to forecast what this may mean for the future and how the sector can and should develop in light of this. To read the ‘Global Oncology Trends 2017’ research report by the IQVIA Institute for Human Data Science and benefit from this extensive analysis please click here. For more on the latest innovations in the field of oncology, and our focus on what this means for the clinical trial process, please click here. For the latest insight from IQVIA on oncology and hematology please click here.